(Reuters) – Ninety-seven percent of scientists say global warming is mainly man-made but a wide public belief that experts are divided is making it harder to gain support for policies to curb climate change, an international study showed on Thursday. The report found an overwhelming view among scientists that human activity, led by the use of fossil fuels, was the main cause of rising temperatures in recent decades. “There is a strong scientific agreement about the cause of climate change, despite public perceptions to the contrary,” said John Cook of the University of Queensland in Australia, who led the study in the journal Environmental Research Letters. Global average surface temperatures have risen by 0.8 degree Celsius (1.4F) since the Industrial Revolution. Experts in Australia, the United States, Britain and Canada studied 4,000 summaries of peer-reviewed papers in journals giving a view about climate change since the early 1990s and found that 97 percent said it was mainly caused by humans. They also asked authors for their views and found a 97 percent conviction from replies covering 2,000 papers. The data will be released at (www.skepticalscience.com). 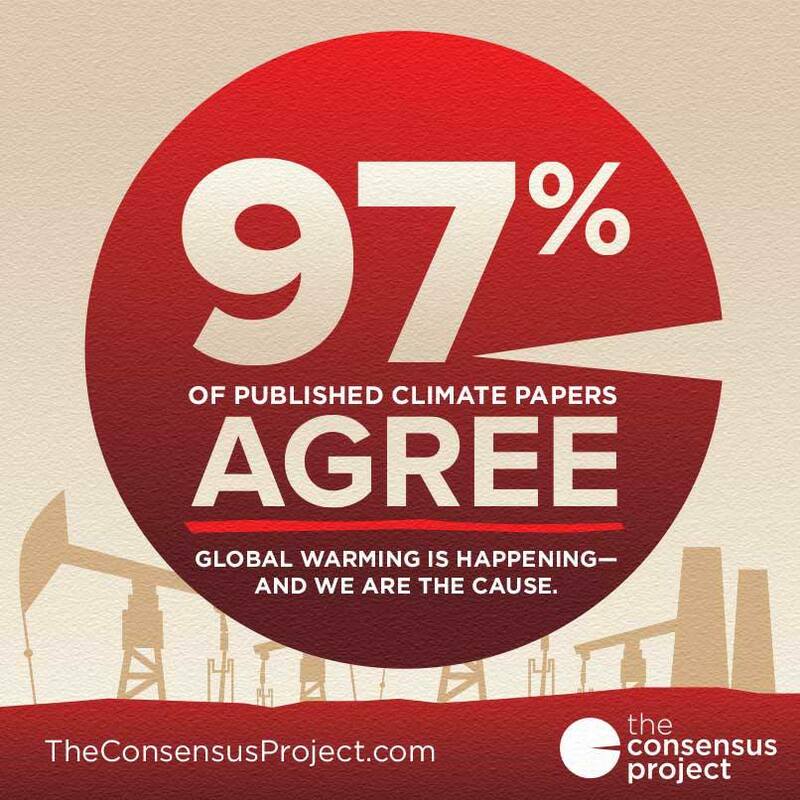 The report said it was the biggest review so far of scientific opinion on climate change. “If people disagree with what we’ve found we want to know,” said Mark Richardson of the University of Reading in England, one of the authors of the study that looked at English-language studies by authors in more than 90 nations. Another co-author, Dana Nuccitelli of Skeptical Science, said she was encouraging scientists to stress the consensus “at every opportunity, particularly in media interviews”. Governments have agreed to work out, by the end of 2015, a deal to slow climate change that a U.N. panel of experts says will cause more floods, droughts and rising sea levels.